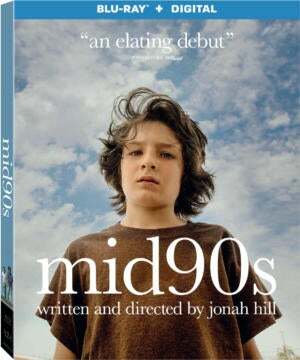 Two-time Oscar-nominee Jonah Hill makes his feature directing debut, and also wrote the screenplay, for Mid90s, the powerful story of a 13-year-old Los Angeles kid who falls in—and finds a family—with a pack of skateboarders. Though Hill’s touch is simple and observant, and almost documentary-like, the story’s emotions run high, from joyous, as when Stevie (Sunny Suljic) first learns to stay on his board, to harrowing, as when he’s pummeled by his bullying older brother (Lucas Hedges). Na-kel Smith is commanding as Ray, the most talented and responsible of the skaters, and Katherine Waterston plays the boys’ bewildered mom. The great soundtrack includes incidental music by Trent Reznor and Atticus Ross, as well as an energizing collection of ‘90s hip-hop. Bonus features: Audio commentary track by writer/director Jonah Hill and director of photography Christopher Blauvelt; deleted scenes (3 mins. ); trailers. The latest Predator movie was a huge disappointment to just about everyone, except for fans of writer/director Shane Black, of Lethal Weapon and Iron Man 3; they know that Black has a gleeful penchant for embracing action-movie cliches and turning them upside-down. 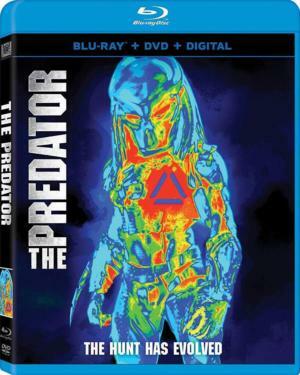 So, despite its haphazard plot—about a regular-sized Predator, a new, bigger, more highly-evolved one, and a kid on the autism spectrum who can communicate with them,The Predator is a fast, funny collection of scenes that spring directly from cheesy 1950s sci-fi classics, but fresh and fun; it’s like a kid playing with toys. The cast includes Boyd Holbrook, Trevante Rhodes, Jacob Tremblay, Olivia Munn, Sterling K. Brown, Thomas Jane, and Keegan-Michael Key. Bonus features: Deleted scenes (7 mins. ); featurettes: “A Touch of Black” (10 mins. ), “Predator Evolution” (20 mins. ), “The Takedown Team” (16 mins. ), and “Predator Catch Up” (9 mins. ); photo gallery; theatrical trailers. While not entirely original—it resembles Pixar’s Monsters, Inc.—the computer-animated feature Smallfoot is a surprisingly winning movie. The characters quickly grow on you, the jokes (including a selection of Looney Tunes-like slapstick) are funny, the songs are catchy, and the message is solid—and timely. Channing Tatum voices Migo, who is happy to live in the yeti community at the top of a mountain, protected by a ring of clouds. That is, until he learns of the existence of humans (“smallfoot”) and begins to question everything. Common voices the Stone Keeper, who tries to keep everything the way it is, and Zendaya voices the Stone Keeper’s daughter Meechee, who leads a secret society of truth-seekers. 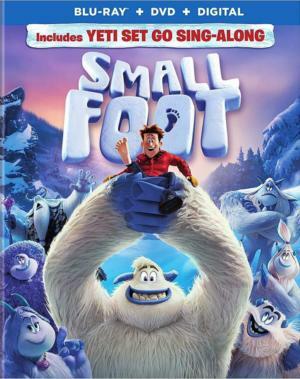 Danny DeVito voices Migo’s father, and James Corden is the “smallfoot,” the host of a TV animal show. Bonus features: Play movie in regular version or in “Yeti Set Go Sing-Along” version; “Super Soozie” Mini Movie (2 mins. ), “Migo in the Secret of the Yeti Stones” (4 mins. ), “Yeti or Not, Here They Come! Imagining Smallfoot” featurette (6 mins. ); 3 music videos (“Finally Free,” “Moment of Truth,” and “Wonderful Life: In 28 Languages, Sung Around the World”); promotional materials. Unquestionably one of the greatest films ever made, Stanley Kubrick’s 2001: A Space Odyssey was shockingly modern when it was first released, and has barely aged in 50 years. With consummate artistry, framing, rhythm, use of sound and music, it explores profound themes of humankind and the ways in which its tools changes it over the centuries, from an ape using a bone as a weapon, to astronauts putting their trust in a computer called HAL-9000. It’s about birth and death and re-birth, and the strange, swirling finale has had viewers puzzling—or just going along for the ride—for five decades. Arthur C. Clarke co-wrote the screenplay, based on his own story. Keir Dullea, Gary Lockwood, and William Sylvester co-star, with the voice of Douglas Rain. Bonus features: Audio Commentary by Keir Dullea and Gary Lockwood; featurettes: “2001: The Making of a Myth” (43 mins. 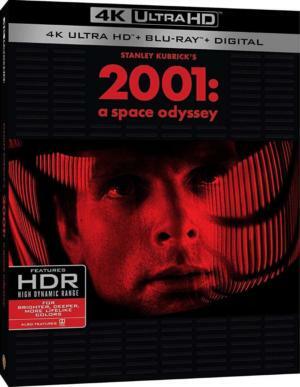 ), “Standing on the Shoulders of Kubrick: The Legacy of 2001” (21 mins. ), “Vision of a Future Passed: The Prophecy of 2001” (21 mins. ), “2001: A Space Odyssey: A Look Behind the Future” (23 mins. ), “What Is Out There?” (21 mins. ), “2001: FX and Conceptual Artwork” (10 mins. ), and “Look: Stanley Kubrick!” (3 mins. ); audio interview with Stanley Kubrick from 1966; trailer; liner notes booklet and still cards. 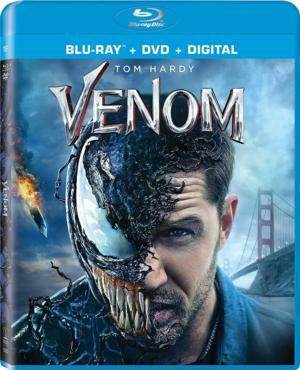 Seemingly a spinoff so that Sony could keep control of a character from the lucrative Spider-Man franchise, Venom was viciously savaged by critics, who labeled it a disaster, but fans clamored to see it nonetheless, and it became a huge hit. Certainly, it’s possible to watch the film without taking it too seriously, and to have a measure of fun. It’s surprising how the marble-mouthed Tom Hardy managed to inject humor into the bizarre, nonsensical character Eddie Brock, having frantic discussions with the alien symbiote that lives in his body and turns into a powerful suit when needed. Michelle Williams co-stars as Eddie’s angry ex-girlfriend, with Riz Ahmed, Jenny Slate, and Melora Walters. Ruben Fleischer (Zombieland) directed.